Spray a large casserole dish, foil pan or crock pot dish (if desired) with vegetable-oil cooking spray. 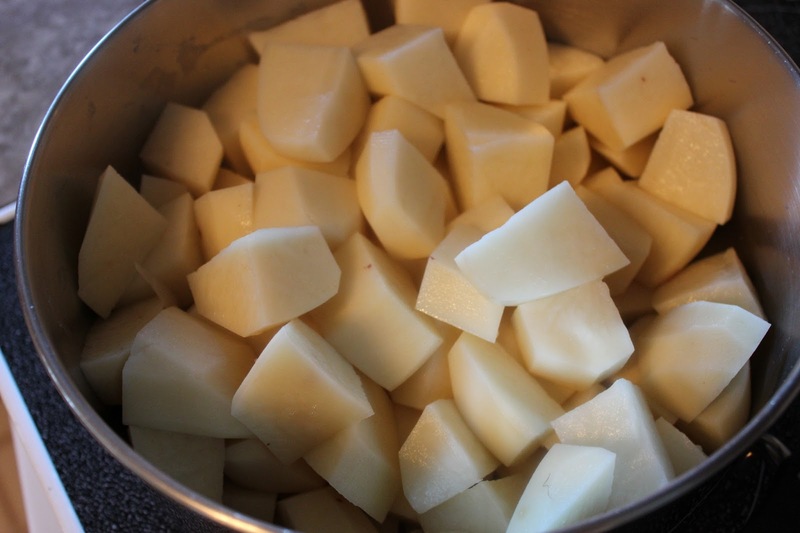 In a large pot of boiling water over medium-high heat, cook potatoes until tender when pierced with a fork; remove from heat and drain. In the same cooking pan, mash potatoes with a potato masher,potato ricer (see below), fork, or beat with electric hand mixer. Mash potatoes until there are no lumps. 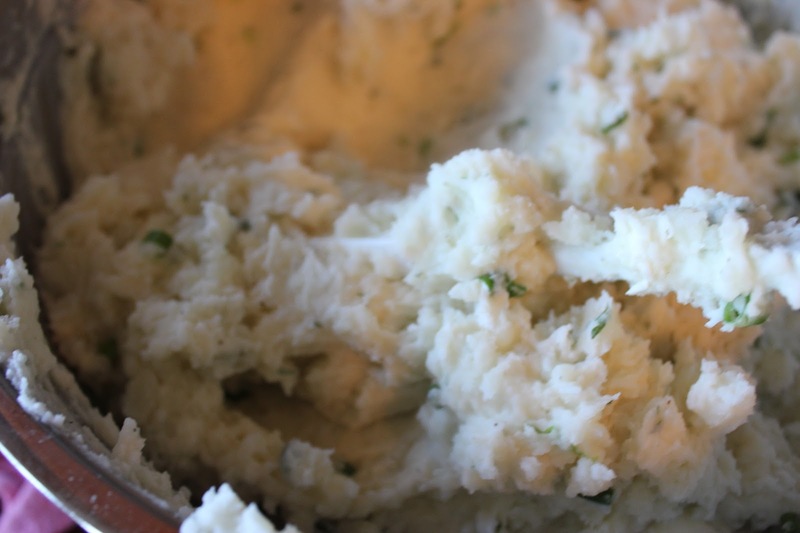 I personally use a potato ricer when making these mashed potatoes. 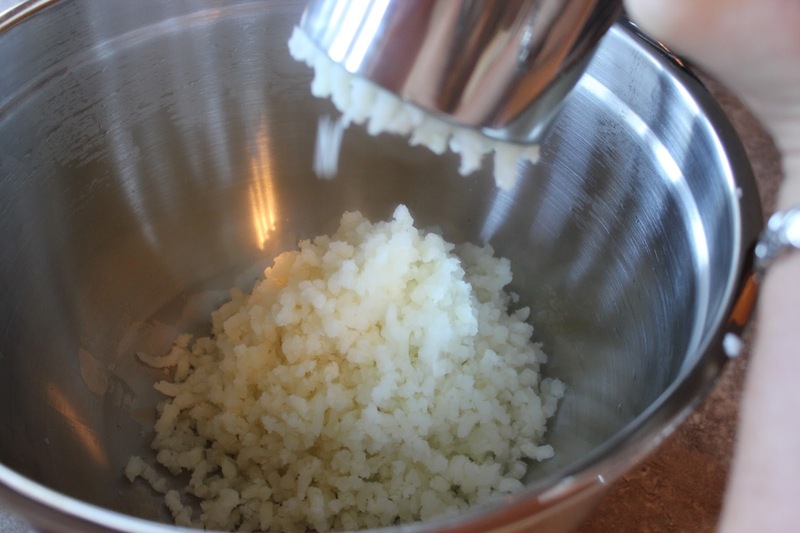 Using a potato ricer, you can make velvety smooth mashed potatoes right at home because potatoes come out fluffy without being gummy. 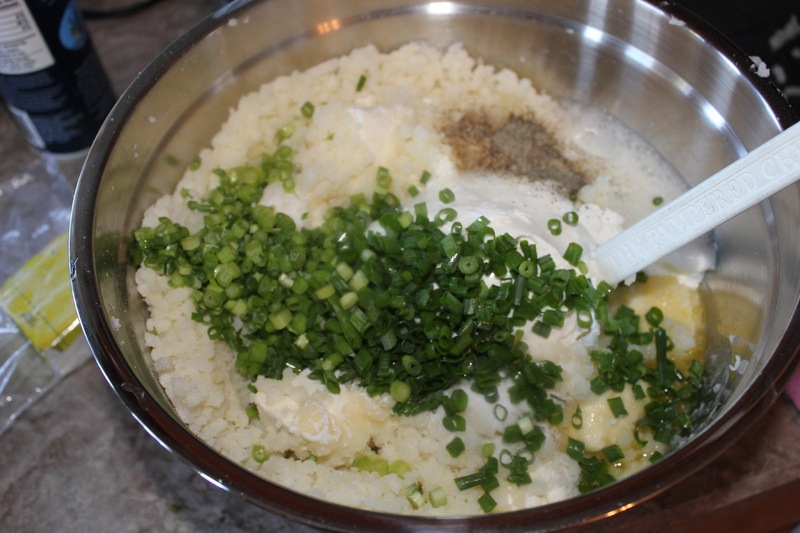 Add cream cheese, butter, sour cream, onion powder, salt, pepper, egg whites, and chopped chives (if desired); blend well. Dot with butter. 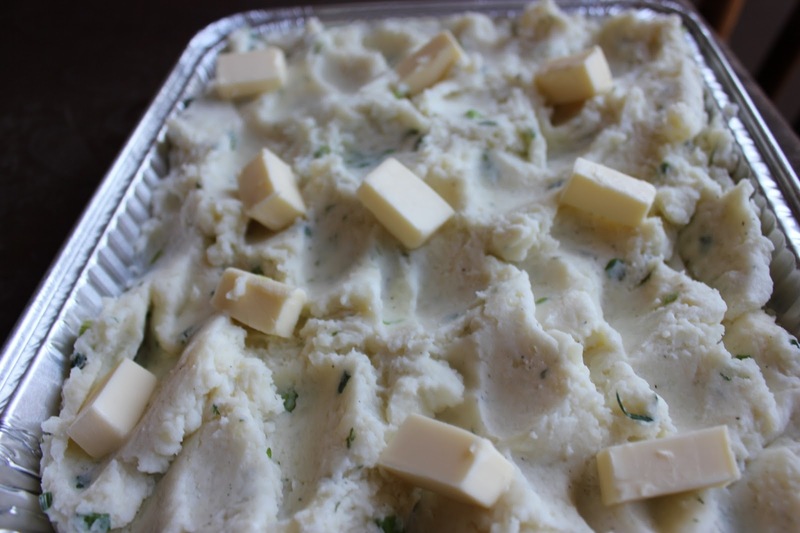 The prepared mashed potatoes may be made up to 4 days ahead of time. If preparing ahead, place in an ovenproof baking dish, allow to cool slightly, cover, and refrigerate. 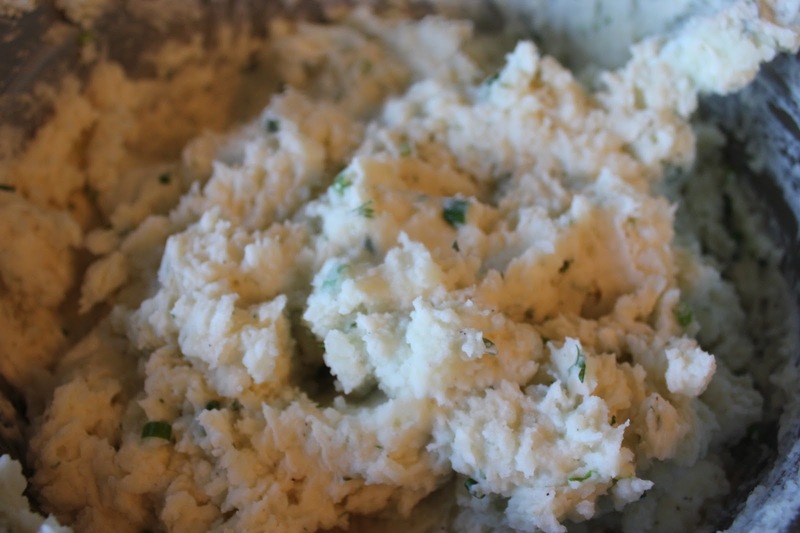 Cooking the prepared mashed potatoes in the crock-pot is a great way to keep the oven freed up for the other dishes. 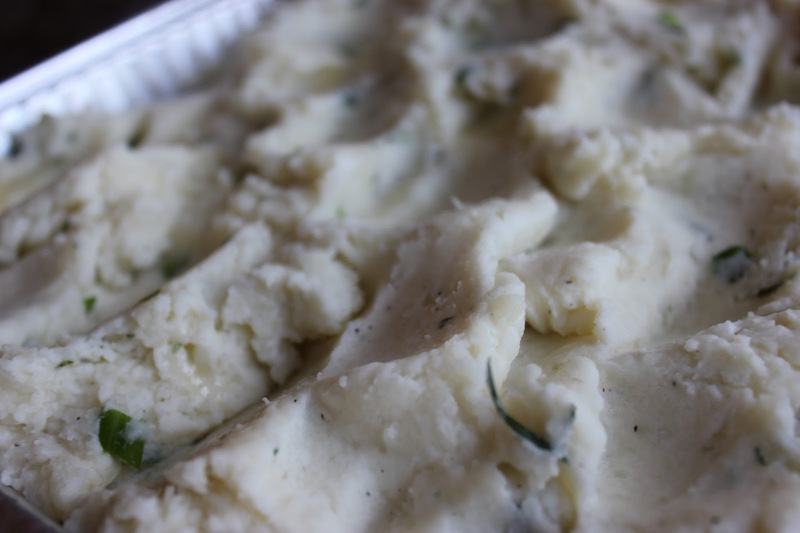 Take the prepared mashed potatoes out of refrigerator about 3-1/2 hours before serving time. Place in crock-pot. 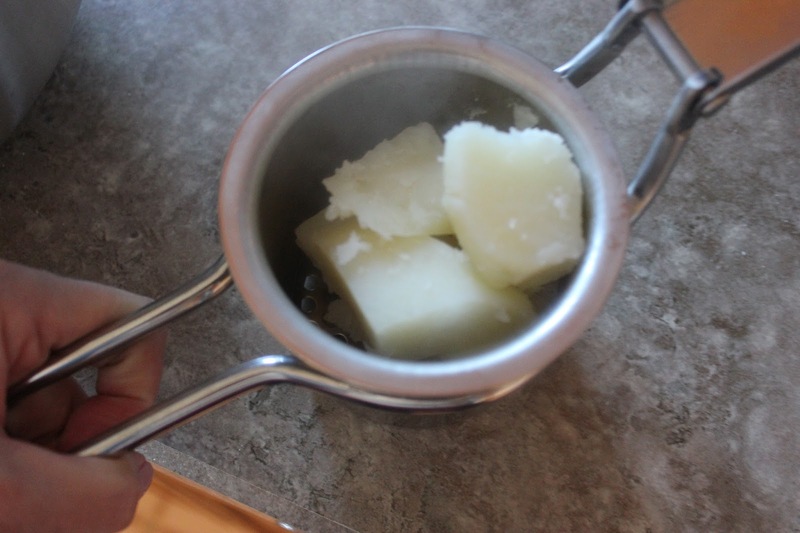 Cover and cook on low heat for approximately 3 hours, stirring once or twice.After potatoes are cooked, stir, and then add some additional dollops of butter just before serving.